14ct and platinum ring made in Poland. Product code: 1731 Categories: Sold Items, Sold Rings. 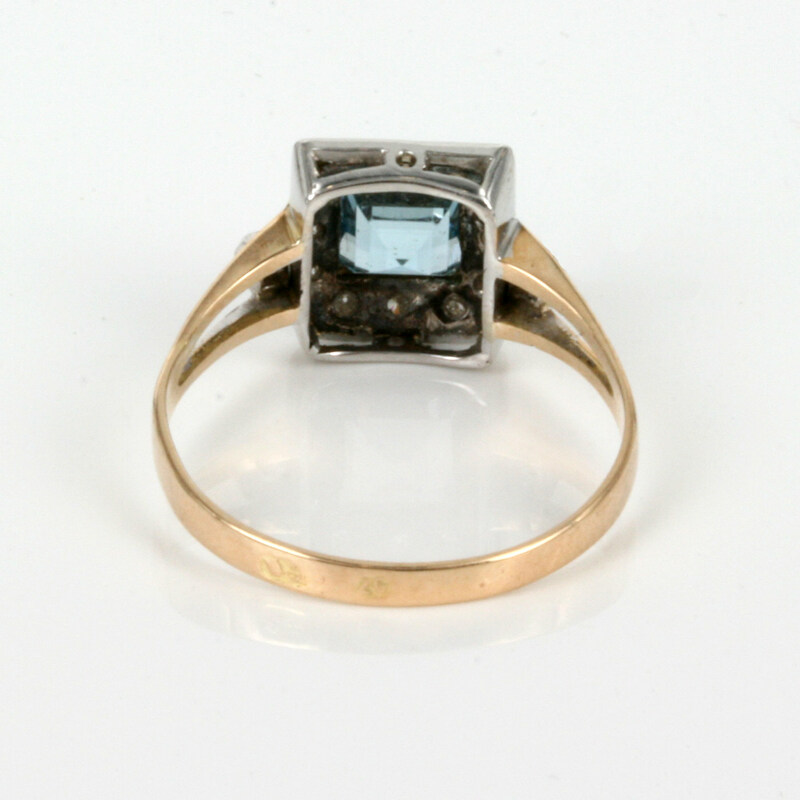 This is a very attractive and easy to wear aquamarine and diamond cluster ring in 14ct yellow gold and platinum. Made in Poland this aquamarine and diamond ring sits so nice and flat to the finger and is easy to wear all the time. With 12 diamonds surrounding the aquamarine and a further diamond on each side, the diamonds total 0.22 carats and the aquamarine measures 0.85 carats in size. From one side to the other and including the side diamonds, the ring measures 1.3cm across and from top to bottom 1cm and dazzles so beautifully in the daylight. Aquamarine rings are perfect for any occasion, and this one is so beautiful in the cluster design.